As some of you might have heard, we’ve started a new site called 1134 Press! It is the home to our online store where you can get copies of our books. We’ve just added a new book and updated our listings, so you should go check it out! Also, grab a copy of Gestalt today! “Gestalt” is a collection of fiction that walks right up to the edge of reality. Between these covers are ten fictions, peppered with gritty, visceral art pages, that explore the nature of being. Halfway through the book you will find a short sequential art story, “Clawing at my Skin”; is it a dream, or is it a nightmare? Check back here soon for more updates about 1134 Press, our growing inventory of books, and a call for submissions that will be coming shortly! It’s been a long time since the last comic has been posted to the site. Sorry about that. Blakbone will continue were it left off (at some point in the not too distant future). That said, there are some pretty big things in the works at 1134 Comix! First, we’ve finally locked in our very own domain name. Now, we’re simply 1134comix.com–we’re on our way to the big leagues now! Also in the works, is what will be our sister site. Here you will find all the goofy web-comics that have always lived on this site. The new site will be something altogether different. We will be focusing on print editions of fiction, graphic novels and comics (at some point), and we would love to publish some interesting poetry as well. We hope to publish work that fits with the essence of 1134 Comix. What we’re most excited about is a plan to publish a yearly anthology. More will be revealed about all of this over the next number of months. 1134 Comix will also be getting some help moving forward. Hello, also unpaid partner in online publishing. You will all be experiencing her contribution sometime this summer. The last bit of news, for now, is that we will be releasing our very first, full length, book of fiction next month. 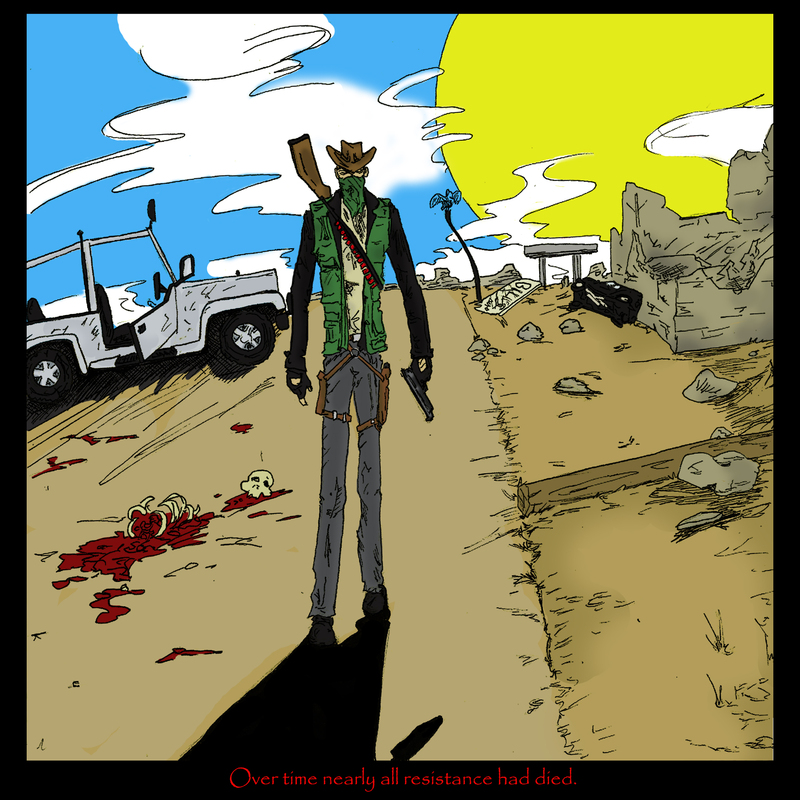 This book features sequential art, mind bending flash fiction, hauntingly gritty art pages, and a number of short stories that walk right up to the edge of reality. Look out for Gestalt, coming in May! So, stick around for an all new era of 1134 Comix! So, the comics on the site have kind of been all over the place as of late. Horde of the Unvanquished has been slow going and seems to have fallen into a more bi-weekly update rather than weekly. Also, a second ongoing story had started the Sunday before last. Both of these stories will continue. Moving forward there will be two web comic posts per week rather than one. Comics will be continuing to post on Sundays as usual but, starting this week updates will begin to drop on Fridays as well. Each Friday will bring an update to the Green Mount Monster comic. Sunday comics will either feature an update to Horde of the Unvanquished, something from the archives, or a new one-off comic. Blakbone will also be returning to Sundays eventually, haven’t forgotten about him (you can always expect an appearance by him around Halloween at least). In the somewhat near-ish future, I will be building a better platform to view all of these various web comics. Right now these stories are definitely not the most accessible for one who might want to read a particular character from their beginning. Soon this will change. Updates on the new site and upcoming print comics will be coming soon. It’s a parade of zombies at 1134 Comix!